Cameras are pretty miraculous contraptions when you really stop and think about it. 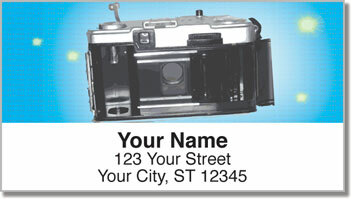 These amazing devices allow us to capture memories that might otherwise be forgotten. From striking sunsets by the sea to birthday parties, weddings and holidays with family and friends, cameras help us tell the story of our lives. 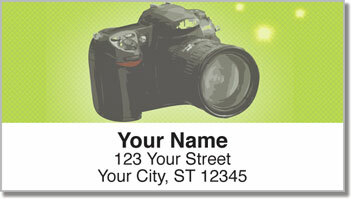 These unique return address labels are a great choice for both professional and amateur photographers. You'll be pleasantly surprised at how much time you save when preparing outgoing mail. That's because these are self-adhesive labels. 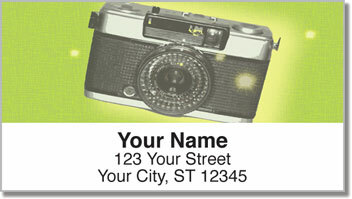 No more licking and sticking and no more scribbling out your return address. Just stick on one of these and be done with it! 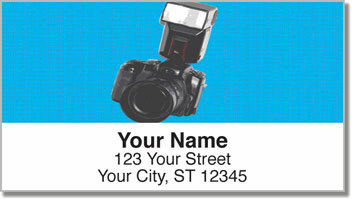 Order your very own Cool Camera Address Labels right now! Get them with a set of matching personal checks.